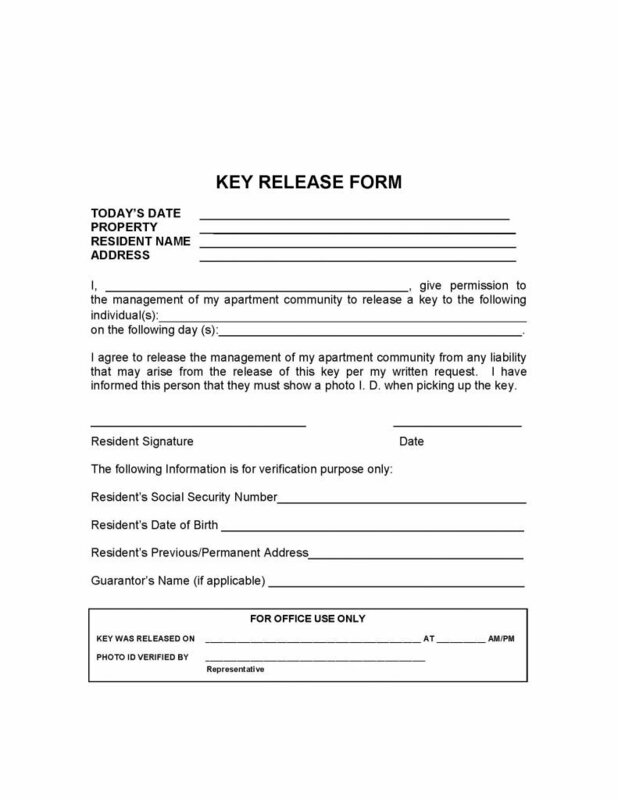 The key release form is a document that would request that the landlord of an apartment community, release keys for one or more persons, known to the tenant, to gain entry into the tenant’s apartment in their absence. The request is made by the tenant and holds the landlord or property manager harmless from liability that could arise from releasing keys for others to access entry. Anyone who shall receive a copy of the tenant’s key, must present photo ID to the landlord or manager before it may be released.